Grogwynion at Ystwyth Forest (NRW)0300 065 3000workPicnic SiteThis is a very pleasant picnic site in a glade of willow and birch near the banks of the beautiful Afon Ystwyth. You can choose from two walks. Craig yr Ogof Walk (0.5 miles, 1 kilometre). This trail, which include a short climb, goes from Grogwynion picnic site through part of the Ystwyth valley overlooking old lead mine workings. Ty'n y Bedw Trail (2.5 miles, 4 kilometres). 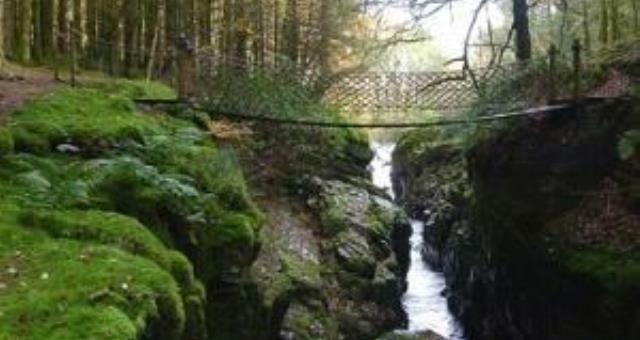 This trail starts at Grogwynion picnic site and leads through beautiful mixed woodland with some huge Douglas fir trees. It is a moderate walk with numerous long climbs and steep descents. From Aberystwyth follow the B4340 to Trawsgoed. Follow this road through Trawsgoed until the road crosses the Afon Ystwyth and turn immediately left, following the river. The car park and picnic site is on the left a few hundred metres after the sawmill. This is a very pleasant picnic site in a glade of willow and birch near the banks of the beautiful Afon Ystwyth. You can choose from two walks.